Call or email Air Charter Advisors to charter a private jet to Providence, the state capital and largest city in Rhode Island. Chartering a private flight to T. F. Green Airport (PVD) is the most comfortable, convenient and secure way to travel to/from Providence, and our company offers the highest levels of air charter service to executive and leisure travelers alike. There are 8 popular airports within 30 miles, offering outstanding flexibility and convenience for private jet travelers, and ACA can arrange luxury concierge services to complement your luxury charter flight. Air Charter Advisors arranges on-demand private charter flights to/from Providence, Rhode Island with simple, pay-as-you-go service without any hidden fees, long-term contracts or membership programs. We also offer private jet management/marketing services for aircraft based in New England, and we can assist individuals and corporations interested in purchasing/selling a private plane. 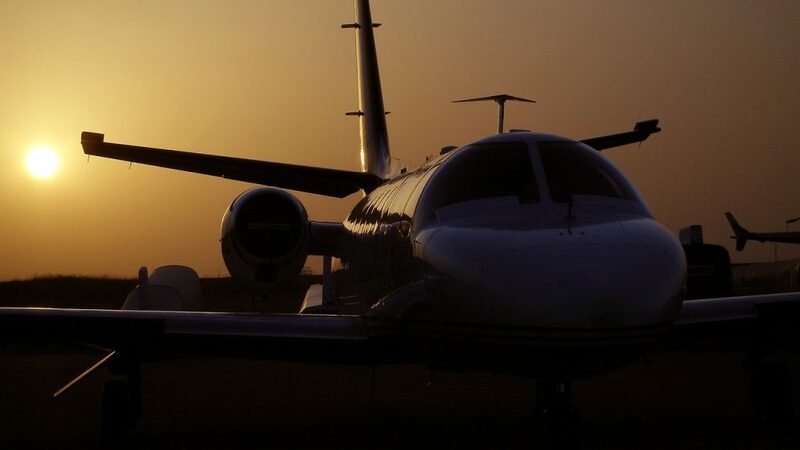 Our number one priority is passenger safety and comfort, something we’ve shown by becoming a Wyvern-certified broker, offering clients the peace of mind knowing they’re working with a company with one of the highest accreditations in private aviation. Our safety and due diligence process have earned us a reputation in the industry for working with only the best of the best, and we go the extra nautical mile to make every flight our best yet. Call us at 1-888-987-5387 or request a free charter quote for your upcoming flight to Providence, RI. Our team is available 24 hours a day, 7 days a week, and we can arrange everything from passenger charter flights, helicopter transfers, luxury yacht rentals, ground transportation and other special requests – consider Air Charter Advisors your comprehensive solution for private aviation in Providence, RI and surrounding areas of New England. Passengers flying private to the area can choose between 9 airports within 25 miles of Providence, while clients flying any further north into Massachusetts will find themselves looking for Boston-area airports. Centrally located options in Warwick (PVD) and Pawtucket (SFZ) are ideal for business jets heading to the capital. 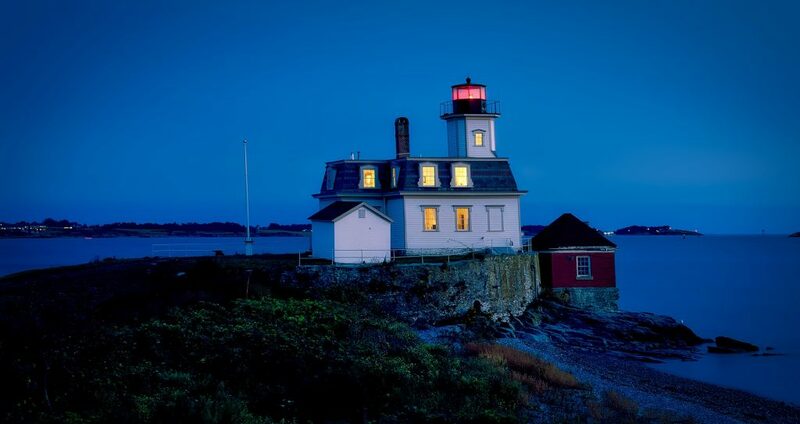 If you have a vacation home on the beach, you may prefer using New Bedford Regional (EWB), one of the top private jet hubs in New England, located directly between Providence and Boston; Newport State (UUU) is also available for smaller prop and piston aircraft in southern Rhode Island. Providence is one of the oldest cities in the United States, and the third most populous city in New England behind Boston and Worcester. 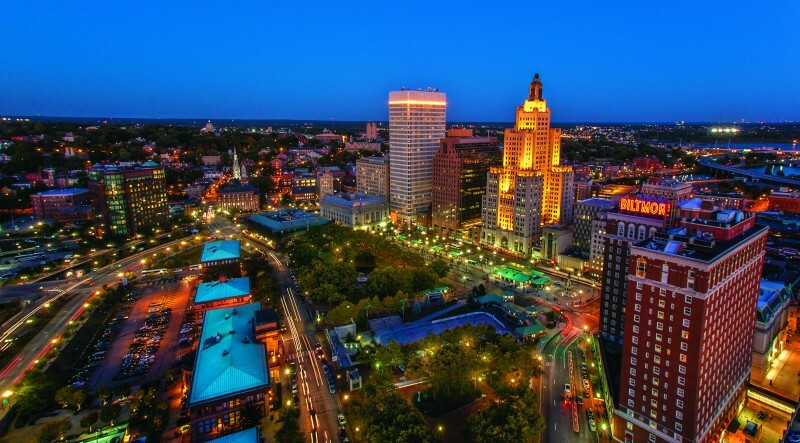 Fly private to Providence, the state capital and largest city in Rhode Island, and the 3rd largest city in New England. Providence is home to unique architecture and picturesque cityscapes, a variety of intellectual pursuits. Providence is one of America’s oldest cities, and it features a variety of historic buildings such as the Rhode Island State House and Trinity Repertory Theater; there’s also plenty of events held in Downcity, historic vistas, and popular districts to explore including College Hill and Federal Hill. Most of the city’s points of interest spread between four neighborhoods: Downcity is the downtown core and home to Waterplace Park, the Providence Place Mall, and Capitol Hill; Federal Hill is a neighborhood just west of downtown known for its nightlife and dining. College Hill/The East Side is where private jet travelers will find some of the city’s oldest homes along with Brown University and RISD; South Providence begins near Elmwood Ave and Broad St, and despite its rough reputation, there’s still a few nice neighborhoods worth checking out. Charter an executive jet to Providence, the capital of Rhode Island and one of the first industrialized cities in the United States. The city originally gained fortune as a major textile manufacturing center, and later for its metal, machinery, jewelry, and silverware manufacturing industries. 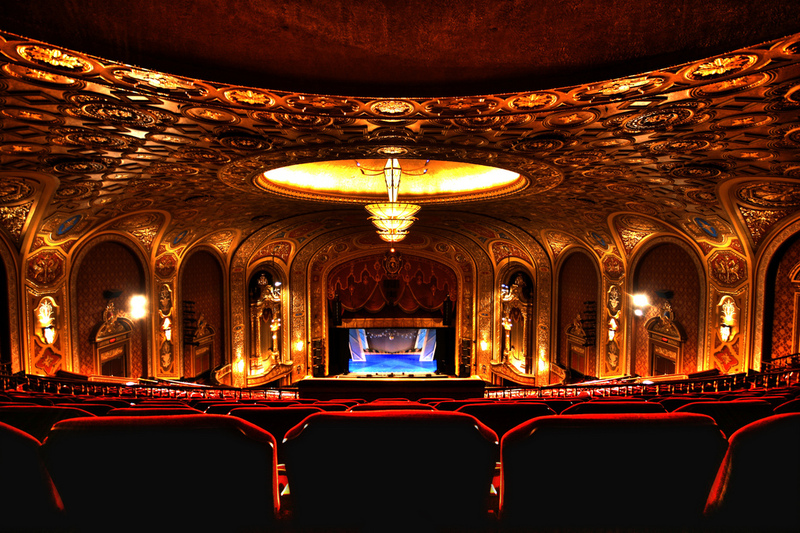 Today, Providence is home to eight hospitals and seven institutions of higher learning, while economy has shifted into service industries, particular education, healthcare, and finance — formerly known as the “Beehive of Industry“, the city started re-branding itself in 2009 as the “Creative Capital” to put a spotlight on the city’s educational resources and art scene. The Port of Providence, the second-largest deepwater seaport in New England, and the Rhode Island Convention Center is the state’s largest convention center, offering 130,000 square feet space, with connecting by skybridges to the Providence Place Mall, the Dunkin’ Donuts Center, and the Omni Providence Hotel. Companies based in Providence include Textron Aviation (Bell Helicopter, Cessna Aircraft, Beechcraft, and other components), United Natural Foods, Nortek Incorporated, Gilbane (private engineering firm), and GTECH Corporation. Toy manufacturer Hasbro operates in the city, although its headquarters remain in Pawtucket. Citizens Bank, the nation’s 15th largest bank, is headquartered here, and Providence is a regional hub for the U.S. Postal Service. 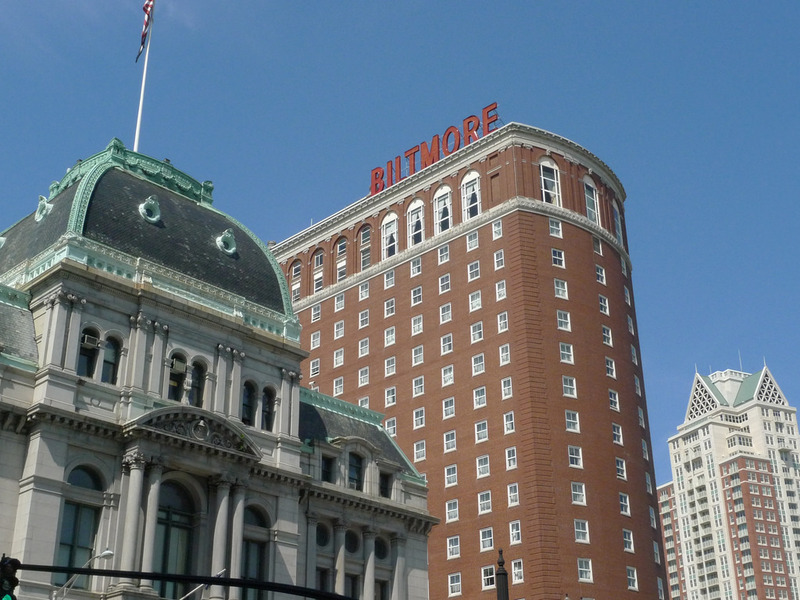 The downtown area is home to a handful of 4-star hotels for private jet travelers looking to stay centered within Providence. Other accommodations are available to the northeast in Warwick and Pawtucket, however, the best luxury hotels and five-star inns to complement your private charter flight are located to the south in cities like Newport and Westerly, while Bristol offers the most luxurious boutique B&B inns for private, romantic stays along Mount Hope Bay. Air Charter Advisors can arrange luxury ground transportation to stand by at (PVD) T. F. Green Airport to bring you to a nearby downtown Providence hotel. If you’re staying along the Atlantic, we can arrange for your ride from (OQU) Quonset State Airport in North Kingstown to the resort/hotel of your choice, or to your home in Rhode Island. Live in Newport? Charter a turboprop or piston and arrive/depart using (UUU) Newport State Airport. Private helicopter lifts can also be arranged for quick trips back and forth (availability may vary). Our private air charter services offer clients access to the following aircraft for private flights, many of which are Wyvern-certified. All of the jets and turboprops we utilize to arrange private flights are operated by FAR Part 135 or 121 (or foreign equivalent) air carriers, using only veteran pilots in the aircraft you’re renting. ACA will provide you with a variety of aircraft options based on the goals and budget of your trip, allowing you to charter a cost-effective aircraft, the most luxurious corporate jet on the market, or something in between. Check out our Aircraft Gallery for more details on all of the aircraft available for your trip; speak to one of our brokers if you don’t see your preferred aircraft listed below, and they will locate one for you. Private jet travelers can arrive/depart using one of the following airports located in Providence, Rhode Island and surrounding areas of New England. The most central option is T.F. Green (PVD) located just 6 miles from the city center of Providence. Smaller aircraft can arrive directly in Newport using Newport State (UUU/NPT), while the most popular private jet airport in the area goes to New Bedford Regional (EWB), a top business aviation hub located 22 miles east, halfway between Providence and Boston. Review all of the options with our broker to determine which is the most cost-effective and convenient airport for your upcoming flight. Request a Quote or give us a call at 1-888-987-5387 to speak with one of our Providence Private Jet Charter agents to go over all of the options for your upcoming charter flight.